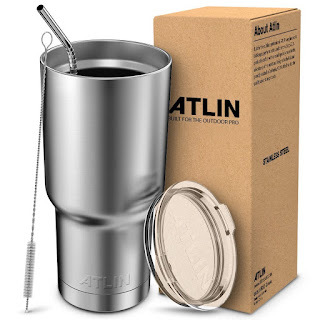 Head over to get this Atlin Tumbler 30OZ with a Handle, Lid and Straw for ONLY $13.49 (Retail $29.99)! The Atlin Tumbler's dual insulation keeps liquid hot for up to 6 hours and cold up to 24 hours. Features a lid, metal straw and straw cleaner to aid your Atlin drinking experience.